Protestant is shorthand for a spreading family tree of church and theological traditions. Each tradition embodies a historically shaped perspective on the beliefs, practices and priorities that make up a Christian community. Whether you are an insider to one tradition, a hybrid of two or three, or--as many Christians today--an outsider to all, Exploring Protestant Traditions is a richly informative field guide to eight prominent Protestant theological traditions: Lutheran, Anabaptist, Reformed, Anglican, Baptist, Wesleyan, Dispensational and Pentecostal. Clearly and evenhandedly, W. David Buschart traces the histories of each tradition, explains their interpretive approaches to Scripture and identifies their salient beliefs. As a result, you will gain a sense of what it is to believe and worship as a Reformed or Pentecostal Christian, who the traditions' heroes are and where the "theological accents" are placed. Charts displaying the denominational representatives of each tradition and bibliographies mapping the path for further explorations add to the value of this guide. This is a book that seeks to receive rather than evaluate, to listen and understand rather than judge or correct. His is a model of theological hospitality that encourages you to open your doors to the varied ways in which Protestantism has taken root in history and human society. Some things take time, like coming to know a religious tradition. But Exploring Protestant Traditions is an excellent place to start. "What a service this careful and thoughtful look at eight Protestant traditions is! Well organized, clear, up to date. This is a solid primer in what makes Protestants both alike and different. Well done. This work helps us understand each other better; a real contribution to the church." "This book is a wonderful contribution to historical and ecumenical theology. 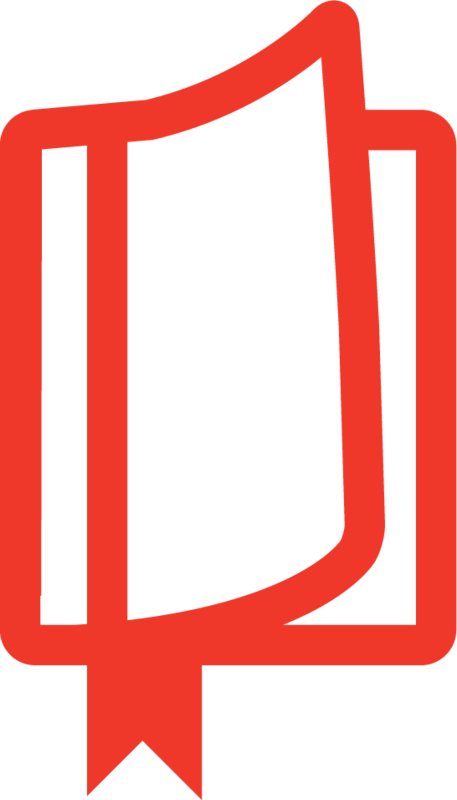 Exploring Protestant Traditions: An Invitation to Theological Hospitality judiciously surveys eight ecclesio-theological traditions of Protestant theology: Lutheran, Anabaptist, Reformed, Anglican, Baptist, Wesleyan, Dispensational and Pentecostal. This gracious work is a call to ecumenical hospitality that responds to God's hospitality and recognizes diversity in belief and theology among the particular traditions and communities incarnate in the church. I will use this text as a textbook in my introductions to the history of Christianity courses, and I would recommend it for courses in ecumenism. It is rich with personal stories, encounters in these traditions, and comprehensive descriptions of the theology, hermeneutics and methods of each tradition presented. This well-written and hospitable treatment fills a need for a survey of these important Protestant traditions." 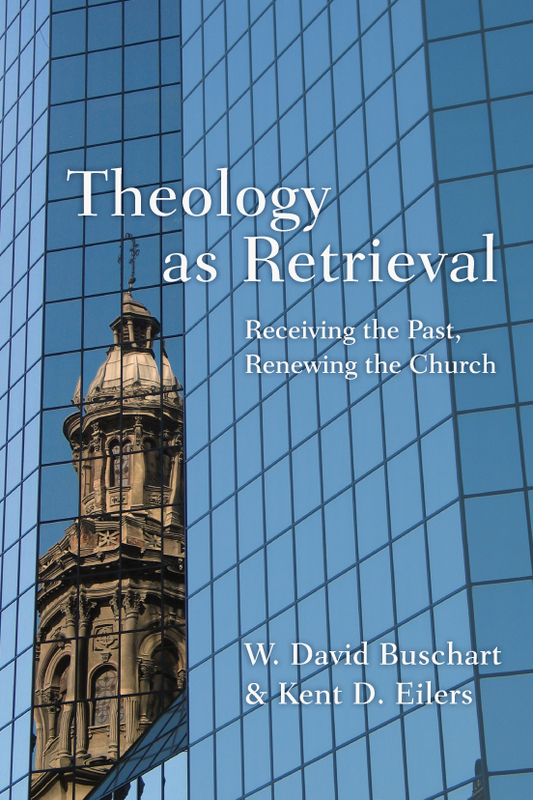 "Very perceptively David Buschart distinguishes the context, method and characteristic beliefs of the eight major Protestant theological traditions: Lutheran, Anabaptist, Reformed, Anglican, Baptist, Wesleyan, Dispensational and Pentecostal. With extraordinary fairness and clarity, he makes it easy to grasp not only their thematic distinctives but also provides a strong argument for their underlying similarities. He therefore shows the basis upon which a conscientious theological hospitality is possible between them, without diminishing their distinctive approaches. This is a very useful way of organizing and understanding the varieties of Protestant theology." "Respecting the deep, sometimes contradictory convictions of believers in various streams of the Reformation heritage, David Buschart offers an irenic overview of eight major Protestant communities. Hospitality is just the right word to describe this approach--a method marked by sympathy, generosity and insight. A good primer for evangelicals (and other Christians) who want a solid introduction to these living traditions." "David Buschart provides a thoroughly researched, well-organized, lucid account of the histories and theological orientations of eight significantly different Protestant traditions. The significance of this becomes contemporary as he outlines the methodologies and articulations of two central beliefs in each tradition by current American theologians. 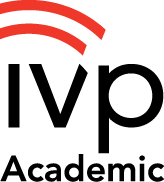 An extensive, valuable resource." 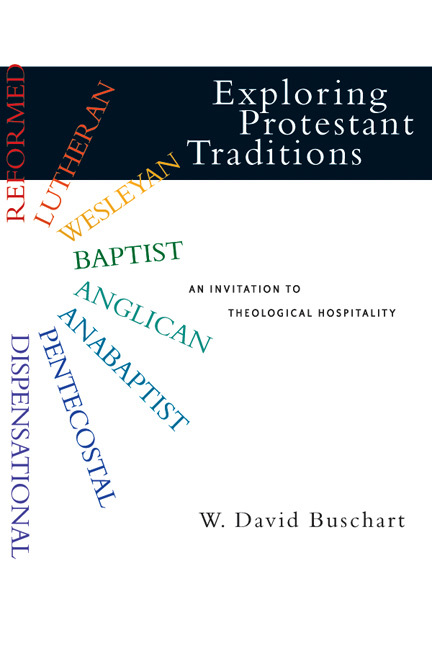 "David Buschart's book Exploring Protestant Traditions lives up to its subtitle: An Invitation to Theological Hospitality. Well researched, objective and accurate, it is warmly sympathetic to each of the eight traditions it covers, letting each tradition speak for itself through its own theologians and historians. This book will break down many old stereotypes and be an important tool for understanding what our Christian neighbors believe." "Well researched, rich in detail, clear in method and irenic in spirit, Buschart's study of eight Protestant traditions is a gift to the ecumenical church. His call for theological hospitality in the midst of the diversities that divide is a welcome emphasis that honestly acknowledges theological varieties, while aiming for the greater good of 'moving toward the full experience and expression of unity in Jesus Christ.' Students and inquirers of all perspectives will realize this book renders a real service by providing historical and theological understandings of the traditions, but also by viewing these differences as opportunities for an ecumenical hospitality that is grounded in God's love. This Christian hospitality can transcend boundaries and extend grace and generosity--notes needed today by adherents of all Protestant traditions." "Dr. Buschart takes the different Protestant traditions and shows how we can be rooted in our own but learn from each of the others. This is ecumenism as it should be, not a watering down but a building up of the faith once delivered to the saints, so that each part can contribute to the whole and help us all to grow richer by sharing the blessings which God has given to each. This book will teach us who we are and what we can learn from others, to the glory of God and the advancement of his kingdom in the world." "Buschart's call to informed hospitality is reliable, evenhanded and gracefully presented. Comprised of carefully crafted summaries of the standard interpretations of North America's leading Protestant theological traditions, it will be read profitably by thoughtful Christians--clergy and lay--as well as interested observers standing outside the Christian faith. Although written from a broadly Reformed and evangelical viewpoint, its discussion of other traditions truly exemplifies the spirit of generosity it commends." . . .a "one-stop-shop" for an overview of various strains of Protestantism. "Buschart offers a book that delves neatly into both theology and church history without becoming a work on the history of doctrine. . . . Hopes that deeper understanding will encourage theological 'hospitality.' This is not watered-down ecumenism but a challenge to see one another in the best possible and charitable light." "Those looking for information on the theologies of the various Protestant traditions will like this book for its compactness and its short bibliographies." W. David Buschart (PhD, Drew University) is associate dean and professor of theology and historical studies at Denver Seminary. He is the author of Exploring Protestant Traditions: An Invitation to Theological Hospitality and is coeditor of and a contributor to Scholarship, Sacraments, and Service. He has published a number of articles, essays, and book chapters and is a member of the American Academy of Religion and the Evangelical Theological Society. 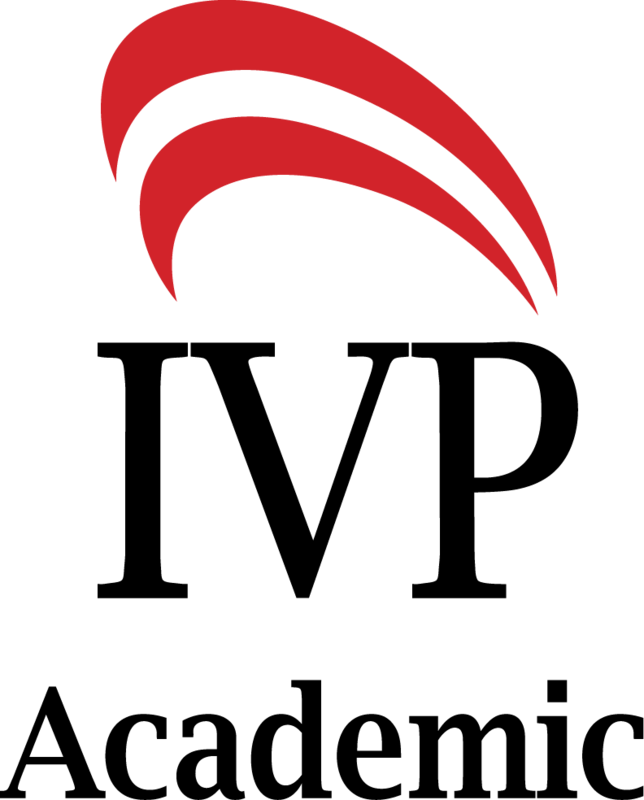 Buschart served in the theology department at Canadian Theological Seminary from 1988 to 1998 and also served as acting dean of the faculty for one year. He was a founding member of the Research Science and Ethics Advisory Committee at Wascana Rehabilitation Centre in Regina, Saskatchewan, and is also the founder of Credo Consulting, a theological consulting firm. 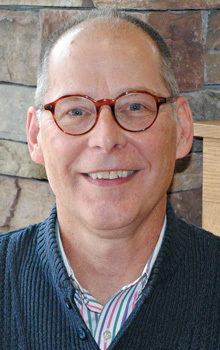 He and his wife Nancy are active members of the Cherry Creek Presbyterian Church in Greenwood Village, Colorado.